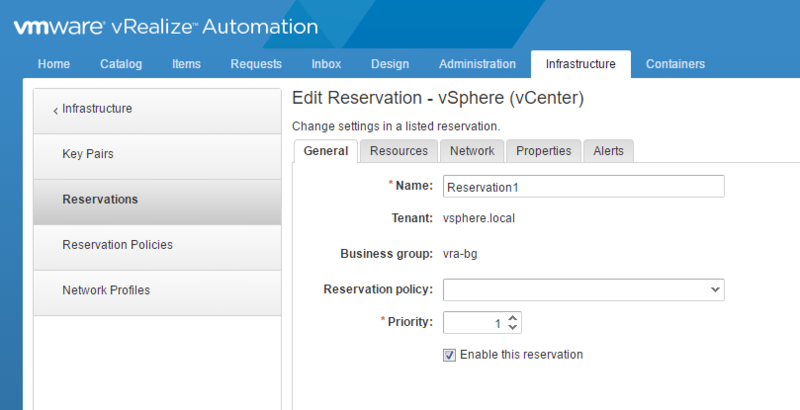 The final step in the deployment and setup process for vRA is to create a Reservation. A reservation allows you to allocate a set or subset of fabric group resources to a business group. 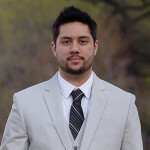 Before creating a Reservation, Network Profiles will need to be created. 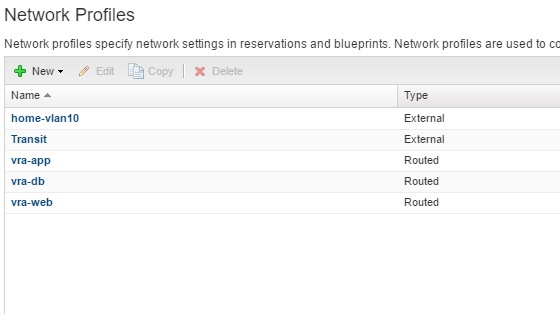 Navigate to Infrastructure -> Network Profiles. Click on New and select a routed, external, or nat profile. I have configured a few different networks: One VLAN backed external network, and three routed logical vxlan networks. Specify a name, DNS, the network ranges (Starting and ending IP). It’s also possible to come back to this page later to see what IPs have been allocated. Now we can create a reservation. To create a new reservation, navigate to Infrastructure -> Reservations. Click New, and then click vSphere (vCenter). Under the general tab, configure a Name, reservation policy if applicable, and a priority. Under resources, configure the amount of memory you would like to reserve from the clusters, as well as the storage that should be accessible. Click the pencil to change the reservation and priority for the storage device. Under the networking tab, select the port groups that will be accessible, as well as the NSX Transport Zone and Distributed logical router. It’s also possible to configure resource groups in this section. Ensure to map the network profiles that were created earlier. Optionally, you can configure custom properties under the properties tab, or you can also configure capacity alerts under Alerts. The alerts are useful for sending emails when CPU, memory, or storage capacity reaches a certain percentage (80% by default). That it for the initial setup for vRA. 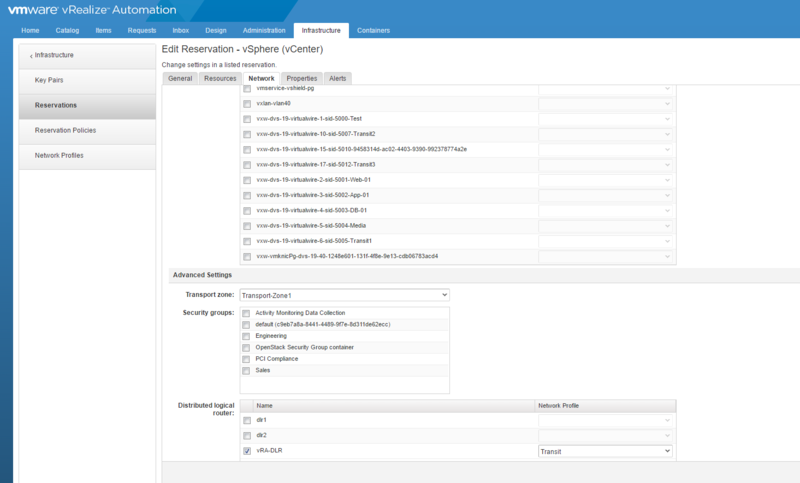 There is a lot more custom configuration that can be done, but these 5 posts were the bare minimum to get started with vRA and create blueprints that can be deployed. 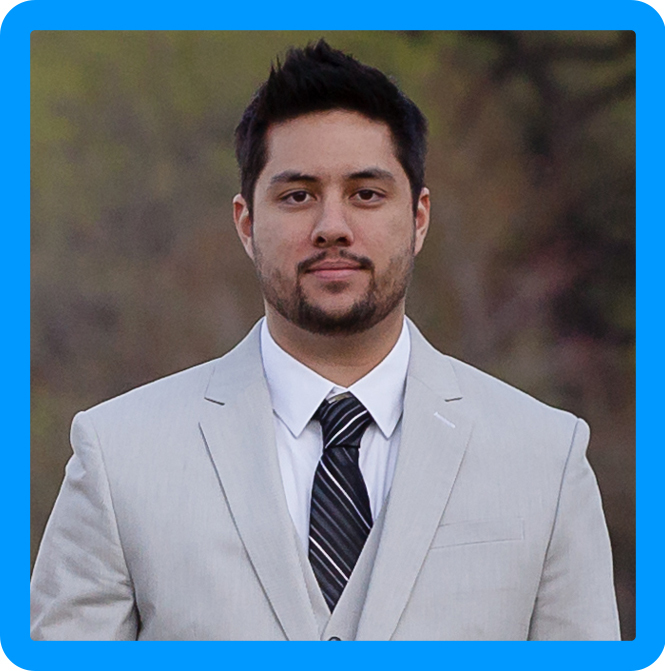 I will be writing more posts on blueprint creation, entitlement and deployment soon so stay tuned!